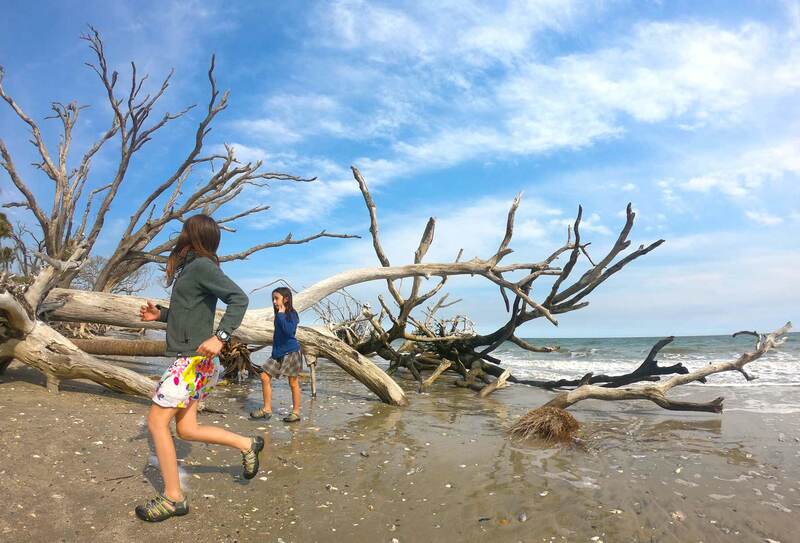 No matter what kind of camp you choose to make of it, Edisto Beach State Park will appeal to most everyone in your party. While the ready beach access is enough for some, there are a few off-site adventures to throw into the mix. One could even begin before you arrive! 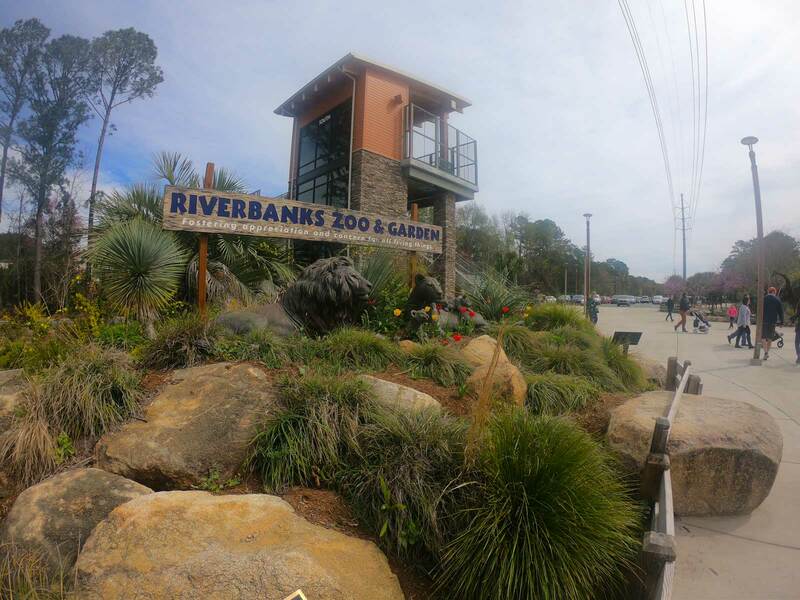 If your approach to the South Carolina coast routes you anywhere near Columbia, then we highly recommend a stop at the Riverbanks Zoo & Garden. 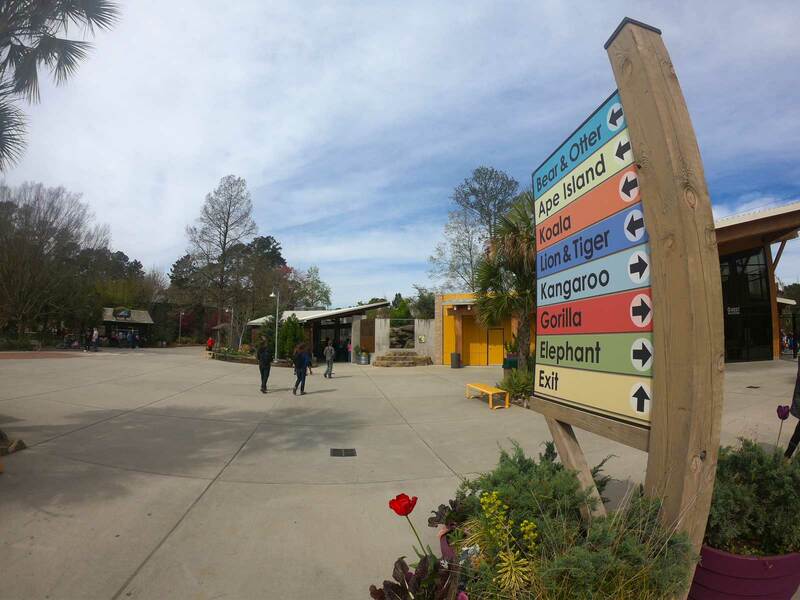 Proving that small zoos can be excellent, Riverbanks Zoo & Garden makes great use of its 170-acre site which houses more than 2,000 animals of every sort including an excellent reptile exhibit, gorillas, very loud Siamang apes plus lions, tigers, AND bears – cue the obligatory "OH MY!" 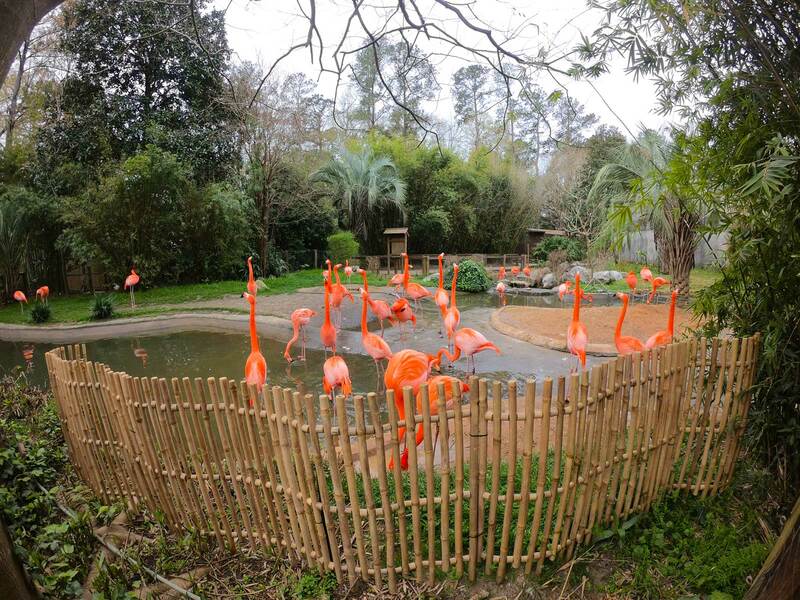 Be sure to pick up a park map on your way in and catch one or more of the free animal feedings or demonstrations. If you have extra time, buy an Explore More Card so you can take part in activities ranging from feeding the giraffes and lorikeets to climbing the rock wall and riding the carousel. Zipline tours are also available for the adventurous. 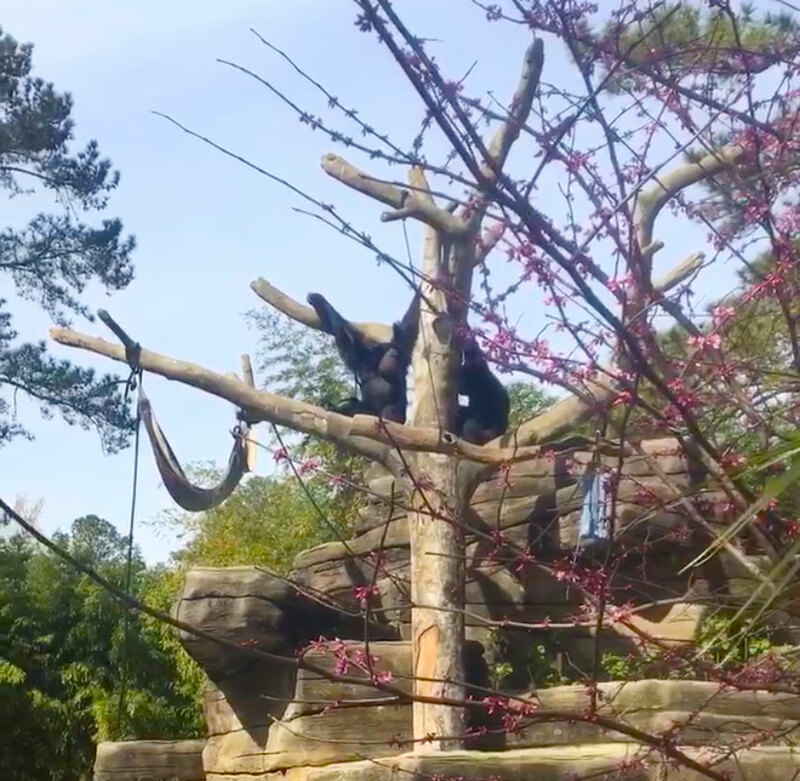 Since we skipped the rides and attractions, it took us about three casual hours to see all the animal exhibits which gave us plenty of time to linger around the family favorites - we easily spent fifteen minutes enjoying the Siamang apes swinging and howling. The morning started out cold (we went mid-March), so we began with the indoor exhibits like the reptile hall and birdhouse, and then did the outdoor exhibits as the day warmed up. We'd advise the reverse in the heat of the summer. ‍Family Favorites: We enjoyed the reptile exhibit hall, the gorilla family (baby gorilla was mighty cute), watching the Siamang apes swinging and howling, koala bear, and penguins. 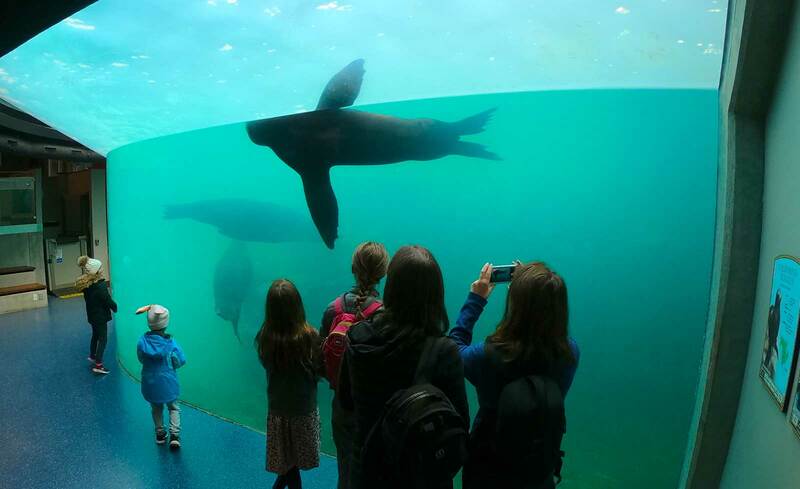 We used our family North Carolina aquarium/zoo membership for half-price admission. Another cost saving option - purchasing online at the Riverbanks Zoo & Garden website saves $3/ticket. For best critter interaction, feed nectar to the lorikeets first thing in the morning - the birds are full after a couple of hours. 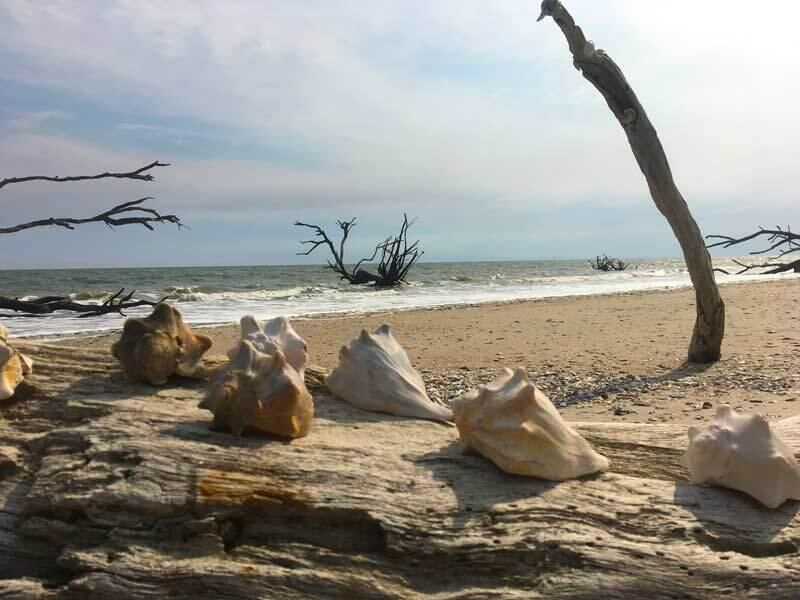 If you can tear yourselves away from the splendid beach at Edisto Beach State Park and do just one side trip, than Botany Bay Plantation Heritage Preserve should be your go-to destination. 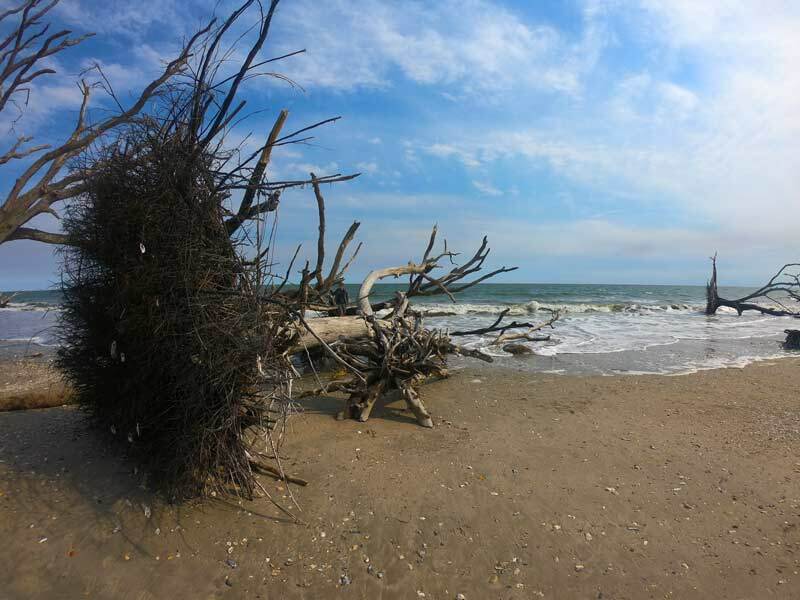 Just four quick miles up Highway 174 from Edisto, Botany Bay Plantation, a State Wildlife Management Area, is made up of two former plantations, Bleak Hall and Sea Cloud, and covers 4,687 acres. During the years 1820-1860, these land parcels produced the lucrative Sea Island cotton under enslaved labor. Later, the land was used for farming and timber. It has only been open to the public since 2008. 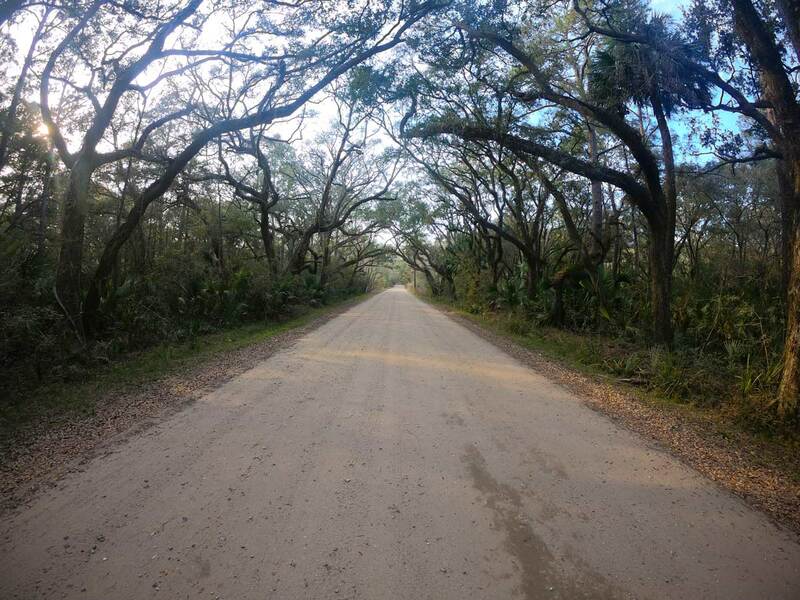 You most likely passed by the unassuming and unmarked entrance to Botany Bay Plantation as you drove down Highway 174 on your way to Edisto Beach State Park. An elegant tunnel of live oak dripping with Spanish moss, Botany Bay Road leads to the main gate information kiosk where you must register for the free driving tour. You will be given a driving tour map describing each of the fifteen numbered spots along the 6.5 mile driving tour through a mixed oak, pine, and sabal palmetto (or cabbage palm) forest, marine and estuarine wetlands, and still managed agricultural fields. With a speed limit of 15 mph and a few stops along the way, leave yourselves a couple of hours to fully appreciate the tour. 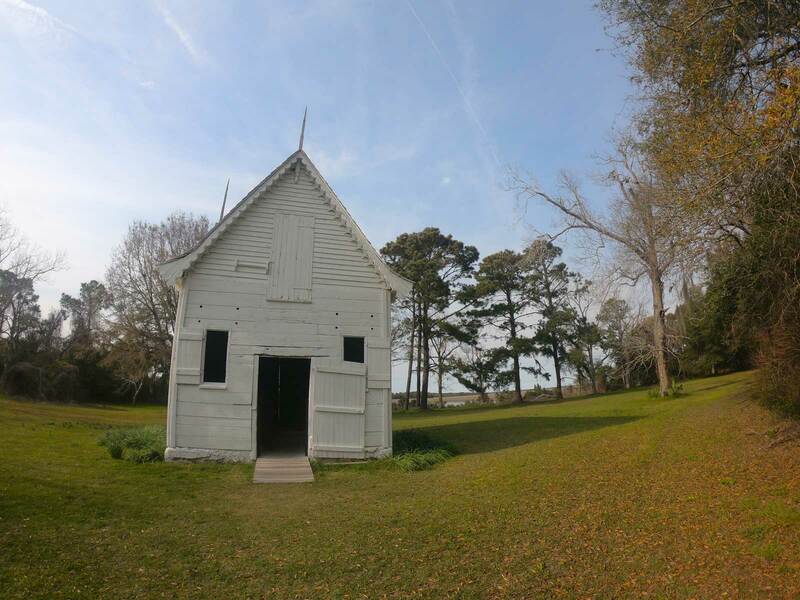 Two stops that should definitely make the short list are the Botany Bay "Boneyard Beach" and the plantation outbuildings. Only 15 passenger vans or smaller are allowed on the touring road. CLOSED on Tuesdays or for special hunt days. 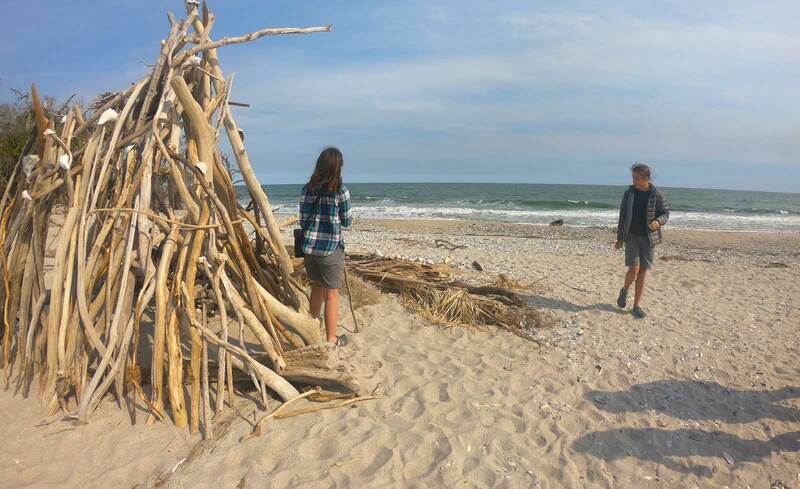 No collection of shells, artifacts, driftwood - nothing may be removed from the property/beach grounds. Be careful of tides - either side of the high tide reaches to the tree line - don't get stranded. No dogs or horses allowed on the beach. No drones or metal detectors. Carry water, sunscreen, hat, and bug spray. 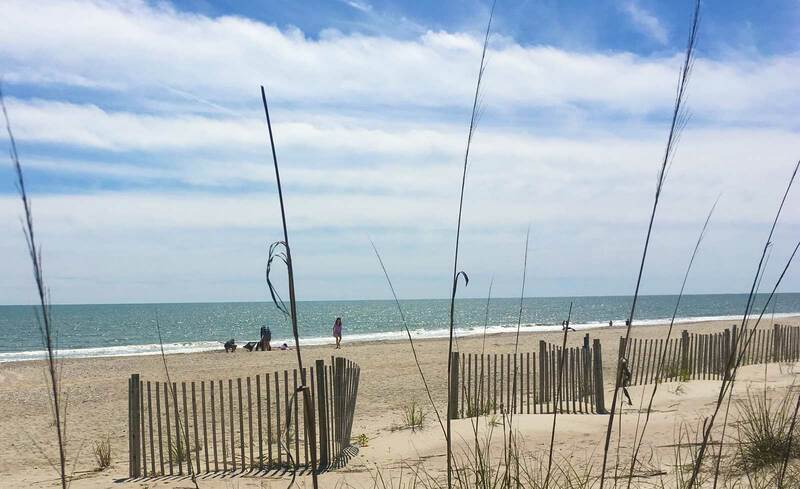 Split between two campgrounds, Edisto Beach State Park gives you a choice between an ocean-front experience or more of a back-country location. A lot is going to depend on personal preference, availability, and your gear. 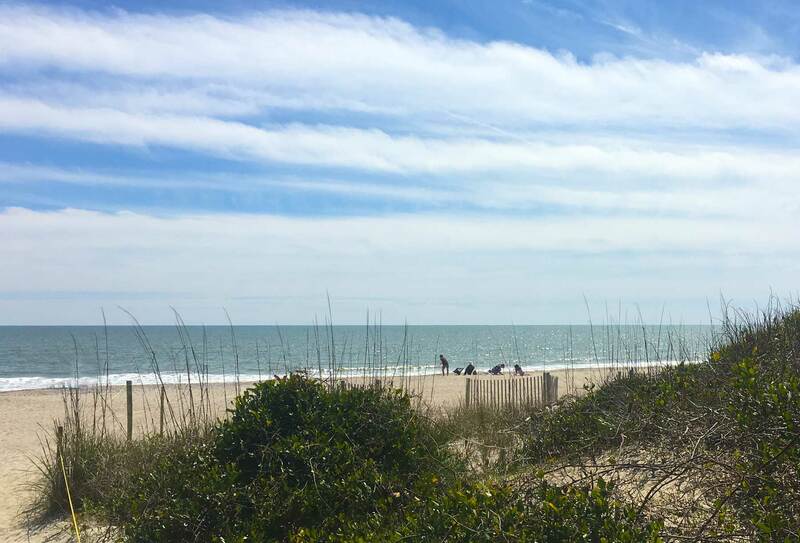 Heated, spotless, and modern bathhouses with an ample supply of hot water in their private shower stalls are some of the many details that made our two-night stay at Edisto Beach State Park pleasant. All sites – minus the Live Oak campground walk-in locations – have water (potable but very salty), electric hook-ups, WiFi access, and an abundance of raccoons. We saw four or five raccoons peering at us while we were sitting at our campfire. We also saw a couple of particularly bold ones during the daylight so make sure you keep a clean campsite. 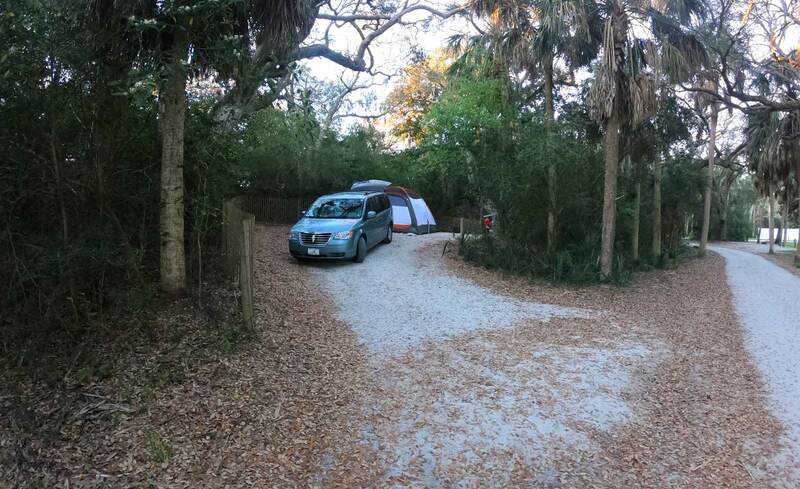 Check-in for both sites is near the Live Oak Campground on Cabin Road. With the exception of the two particularly gruff state park attendants at the check-in station, we have nothing but great things to say about the rangers, security, and other state park personnel. 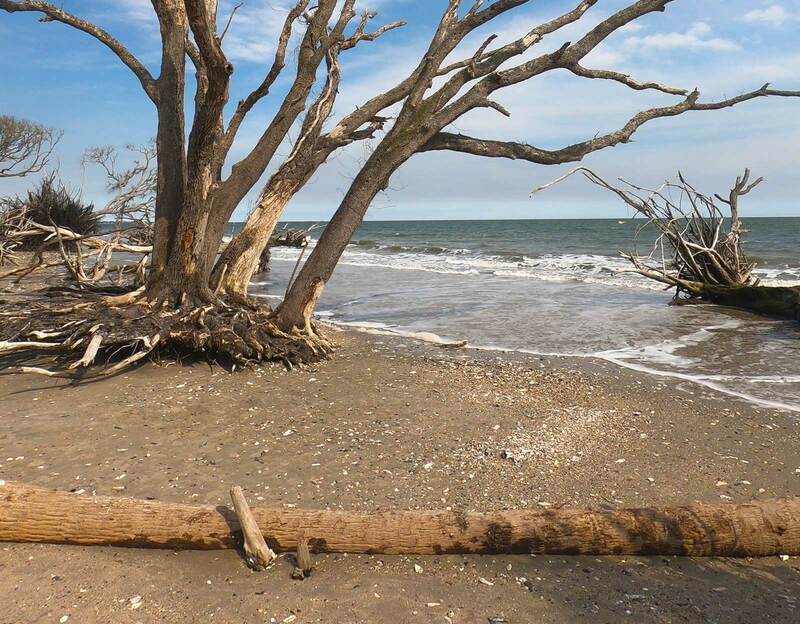 The Edisto Beach State Park daily pass ($5) included with your camping fee. Expensive - $50-60/night - even for our tent only campsite; the walk-in campsites are $22/night. All reservations have a two-day minimum. No Laundry facilities at campground. 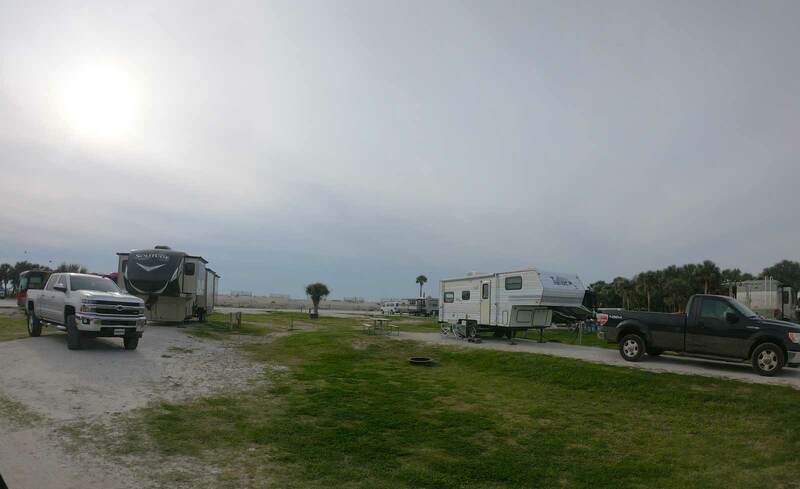 If ready beach access is important than opt for the Beach Campground. The gentle sound of the breakers permeates this location as does the salt air and near constant breeze. 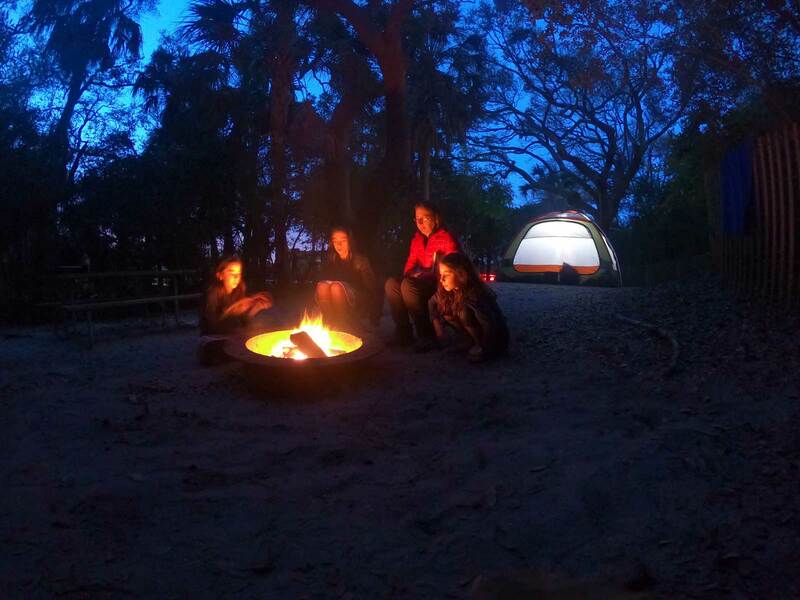 Bordered by the Atlantic Ocean and Scott Creek, Beach Campground surrounds you with a delightful slice of coastal South Carolina pie. All the sites that run along the southeast edge back up to the Atlantic Ocean, separated only by a large dune (please don't walk on the dunes - use beach access points only to preserve the habitat). Sites 1-13 have the most natural shade and easy beach access. Our site was #3 -full shade and private - sat up on a narrow rise therefore only suitable for a tent. The sites that run along the Scott Creek side and the far end loop may present a challenge in the mid-summer heat. If your rig has AC then you'll be fine till quiet hours, but if you are tent camping choose your site wisely or you might find yourself sweltering. 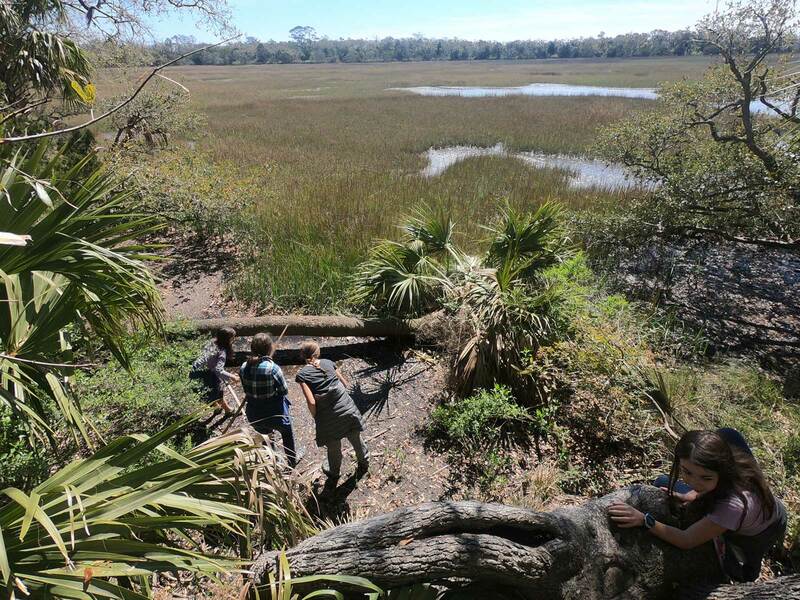 The Scott Creek salt marsh may also supply swarms of mosquitoes in the warmer months to the entire site but that might be true of most any South Carolina coastal camp. 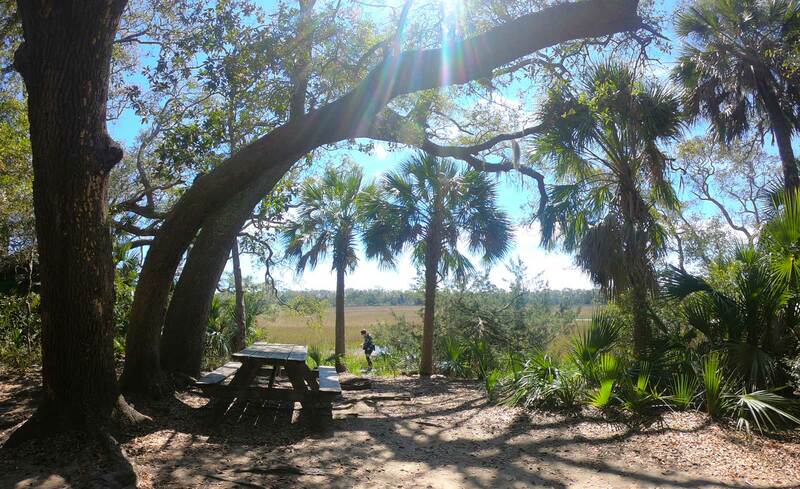 Shade is in pretty short supply over at the Beach Campground, but not so much at the Live Oak Campground. Sites 112-125 back up to the salt marsh and provide for the greatest level of privacy among the full hookup sites. 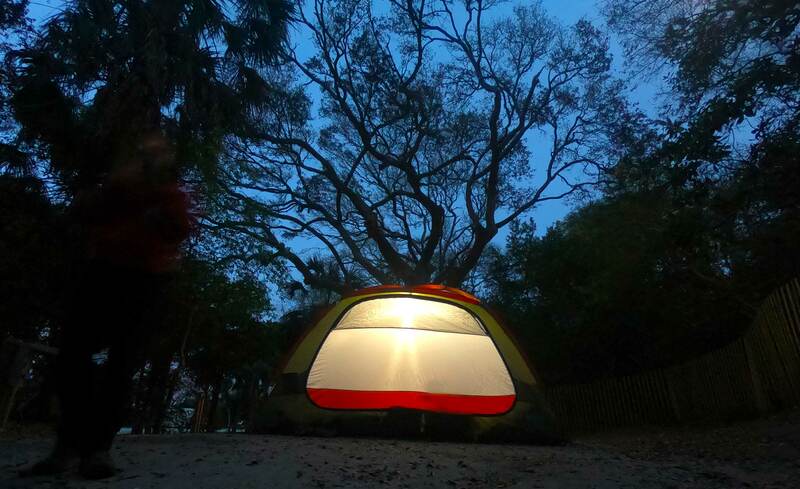 If you are looking for a backcountry-like experience without a long hike, then consider the Live Oak Campground. Walk-in sites 126 - 130 are truly worth the effort, but are still only a short hike from the parking area. If you are a hammock camper, then this might be the best option. 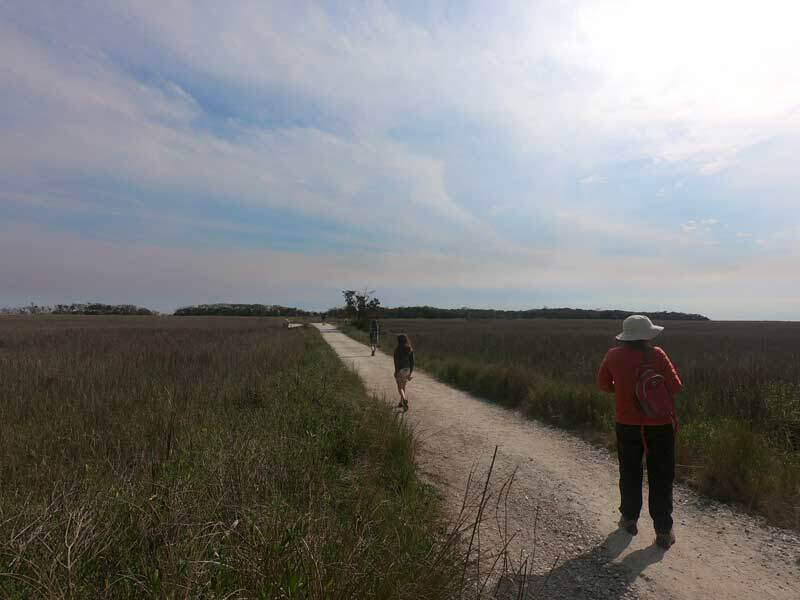 All of the heavily shaded walk-in sites border the vast salt marsh which is ripe for exploration. While you might get the feeling of being in the backcountry, rest assured that a great bath house is just a short stroll away. 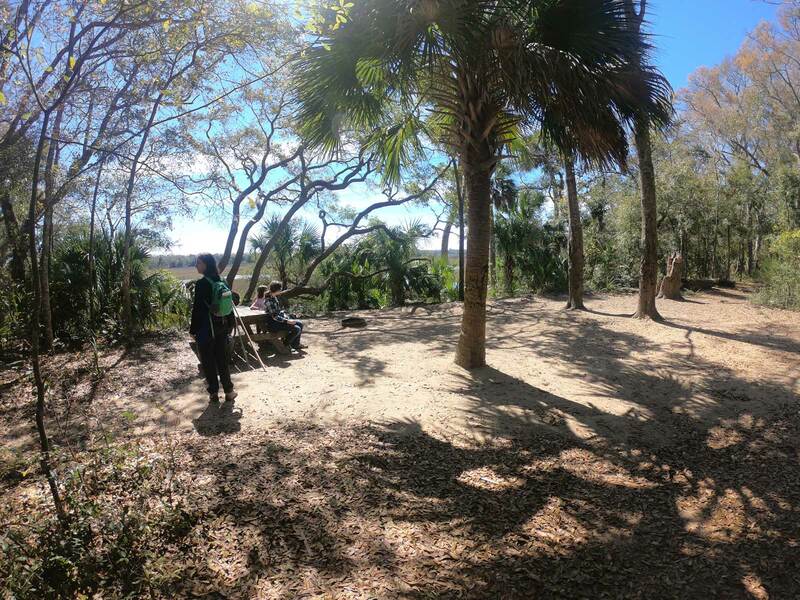 To describe the Edisto Beach State Park trails as 'well-groomed' would be a huge understatement. Flat, smooth, and free from debris, you'd think they had been paved if you didn't know any better. 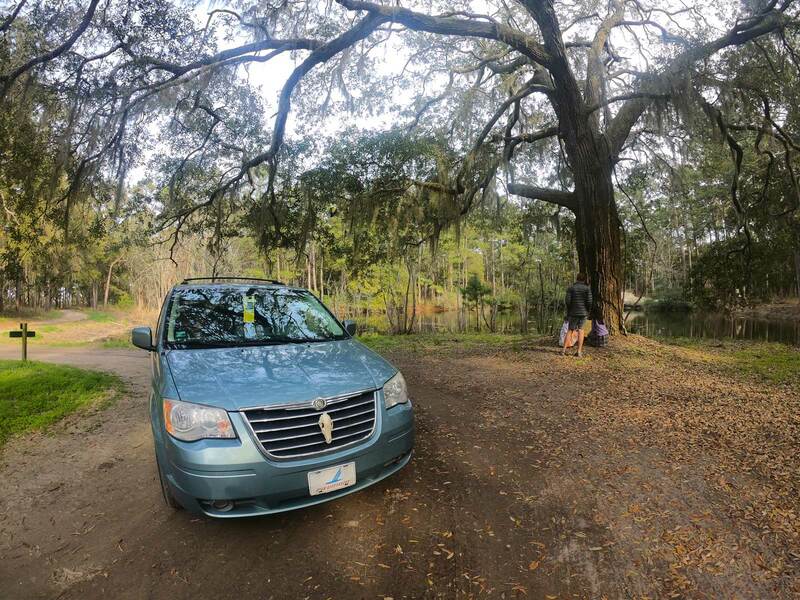 From the Live Oak Campground parking lot, these trails are a wonder of maintenance which frees you to take in the maritime forest through which they run. One of the earliest known Native American shell mounds greets you at the western end of the first leg. 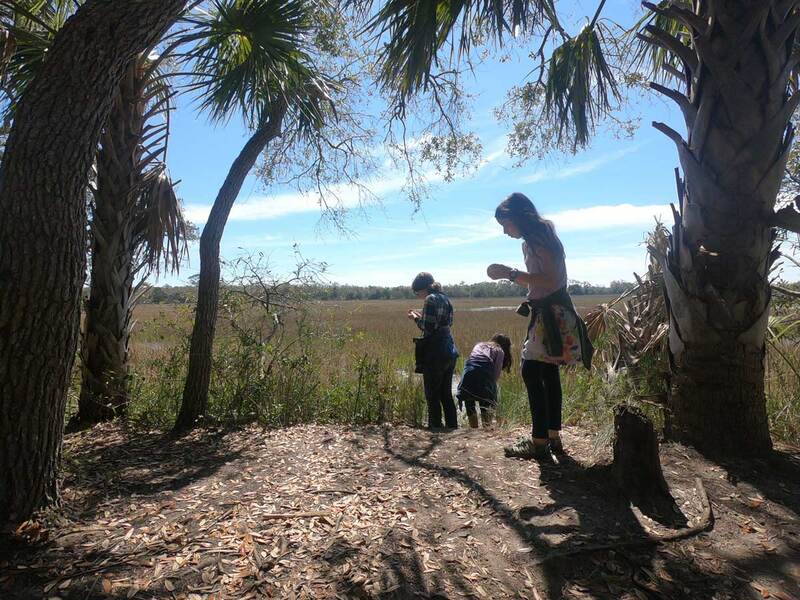 Keep a look-out for the South Carolina state tree – the sabal palmetto – in three different growth stages, along with plenty of avian species. We chose to take the Scott Creek Trail on our return which takes you along its namesake creek, and then the Campground Trail that passes by the walk-in sites before emptying near your starting point. 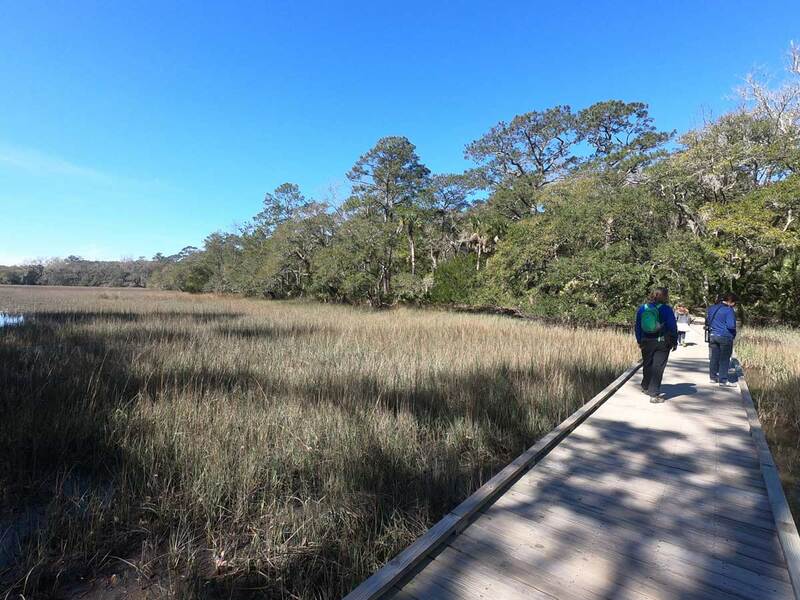 All of these trails are easy to navigate so if you have the time, and can hike the roughly 2-mile round trip, then it makes for a lovely introduction to the South Carolina low-country.